In the company’s continued attempt to take over the cloud storage space, Microsoft has now announced it is blowing the roof off OneDrive storage limits for Office 365 subscribers. The move comes as a surprise to many as the company just recently upped its limits to 1TB for subscribers and doubled its free storage space. Unlimited storage will eventually roll out to Home, Personal and University 365 subscribers over the next few months, but those interested can get on the list for an early look over on the OneDrive Preview site. 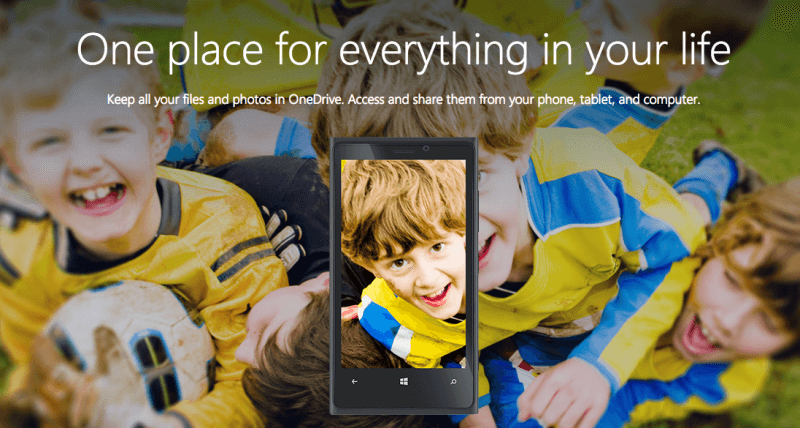 OneDrive for Business customers can expect to see the feature begin to roll out sometime in 2015. With the series of updates and upgrades Microsoft’s cloud option has received over the past few months, its clear the company is looking to take down competition from Google and Dropbox. Unless either of those two respond in the meantime, OneDrive for 365 will offer unlimited cloud storage and access to Microsoft’s Office suite for $6.99 a month, compared to just 1TB of space for $9.99 from Google or Dropbox.